At MTYP, we believe that everyone is an artist. Our skilled and experienced instructors aim to foster creativity, confidence, and empathy. We offer a variety of workshops in acting, improv, puppet making and more. We can also create a lesson plan to fit the goals of your curriculum. A fun and encouraging introduction to drama. This workshop empowers students’ imagination and self-expression through games, movement exercises and story theatre. Discover the art of puppetry! Stimulate your students’ creativity through the invention of stories and characters using classic rod or sock puppets. Students transform themselves in to a character by designing a mask all their own, while using their imaginations to invent a unique voice and movement style. Experience the thrill and total freedom of creating theatre without a script while developing skills in communication, listening and teamwork. Your students will experience the beauty of shadow puppetry as they build dazzling designs and bring them to life. 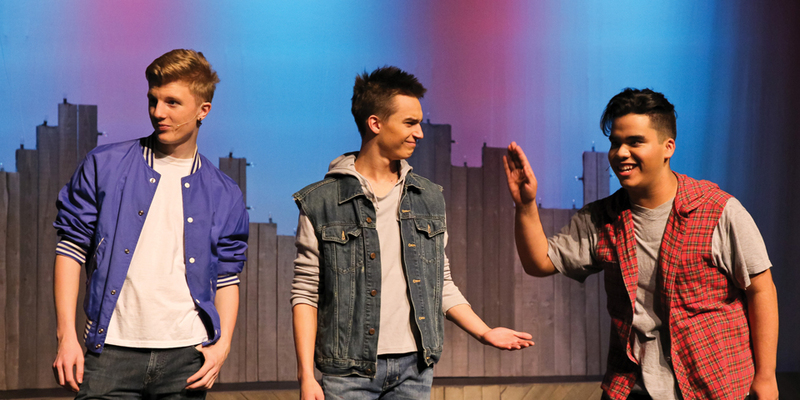 Give your students the Broadway experience! 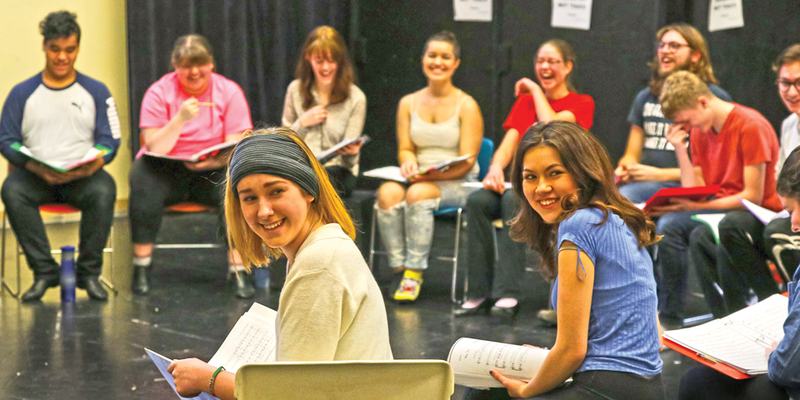 This workshop is designed for those who are up for the challenge of acting, singing, and dancing – all at the same time. Students put their acting skills to the test in front of a camera! An excellent behind-the-scenes introduction to the world of film and television. Discover the art of stop-motion animation. Create characters from modelling clay and transform your concept into an animated scene! A week before the show, our drama facilitator visits classrooms throughout your school with a 15 minute session designed to encourage active viewing. 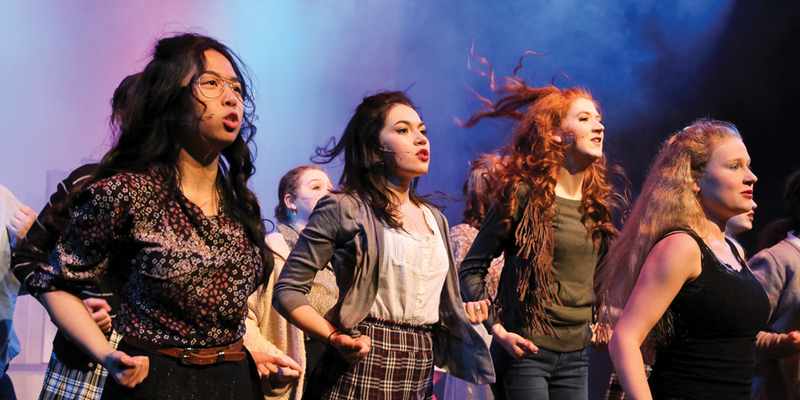 Enhance your students’ understanding of the production with a 60 to 90 minute play-related workshop that explores the key issues, themes, or styles presented in the play. Supply Fee: $2/student for puppetry workshops. Students create a character out of modelling clay and set out on an adventure as big as they can imagine. Every person has a story to tell. Students will use creative writing to express their own thoughts and feelings. Students will jump for joy like Tigger as they discover their own Hundred Acre Wood with a stuffed animal friend. 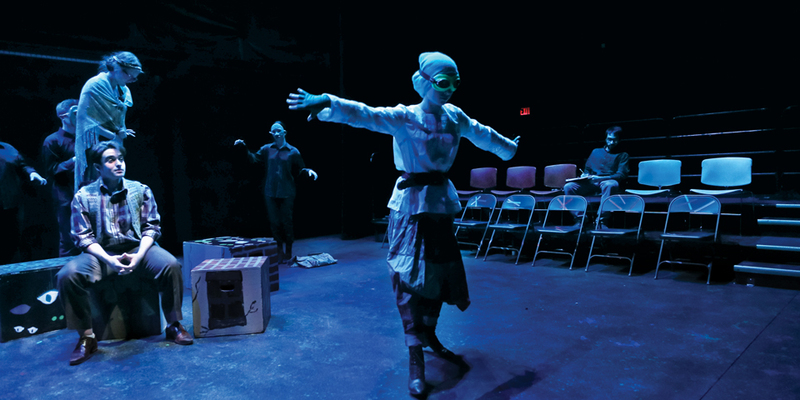 Students will make connections to the play and their own lives in this physical theatre workshop. Students craft their very own wiggly caterpillar puppet, then bring it home at the end of the workshop. Students shift their perspectives and use simple, yet elegant, theatre techniques to transport themselves through time and space. MTYP instructors have a wealth of performing arts experience and knowledge. Our workshops are designed to add fresh ideas to your curriculum by providing practical yet playful approaches to teaching and learning through theatre. One of the most rewarding ways to encounter the art of theatre is to collaborate on a long-term project. Offer a summer or after school program in your community, and we will consult with you to develop an expanding curriculum as your program grows. Welcome an artist in your school for a week or longer! 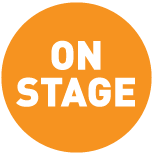 Classes will create and rehearse a play or movie to be performed or screened for an invited audience.